The Field Operations Directorate of the All Progressives Congress (APC) Presidential Campaign Committee in Kwara State will on Thursday launch its field operations and training of canvassers in all polling units making up the state. In a statement issued in Ilorin on Wednesday by its deputy coordinator field operations, Kayode Oyin-Zubair said the ceremony will be declared open by Mallam Nuhu Ribadu, director field operations and Alhaji Abdulraham Abdulrazaq, coordinator presidential campaign committee, Kwara State. The statement added that, APC party chairman in the state, Honorable Bashir Bolarinwa will be the chief host, while the honorable minister of information and culture, Alhaji Lai Mohammed will be the special guest of honor. Other leaders of the party in the state will grace the occasion. Also expected to deliver goodwill messages are Barristers Salman Jawondo and Rasaq Bamu. 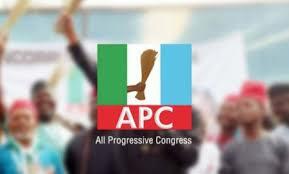 The APC national publicity secretary, Mallam Lanre Issa-Onilu is equally expected to be in attendance. The program which will hold at the APC Presidential Campaign Committee Secretariat around Fate Roundabout Ilorin will start by 10am prompt.